heart abnormalities. Collins Grace fought a brave 4 ½ month battle before going to heaven to be with our Lord and Savior. be felt by families with newborns in Neonatal Intensive Care Units (NICU). 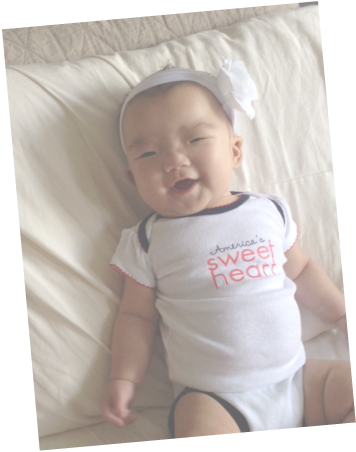 Collins Grace was the sunshine in Ashley and Tien’s lives; therefore, they want to make sure her foundation provides sunshine to newborns and their families during their darkest days. The mission of the Collins Grace Foundation is to support newborns in the NICUs, and their families, by providing emotional and financial support. Click here to help make a difference! Click here to reach out to us, ask a question or address a concern.